Judge Andrew Kauffman has more than 25 years of judicial experience and has presided over more than 200 jury trials. Due to his extensive trial experience and his calm and patient manner, Judge Kauffman was often sought out to conduct voluntary settlement conferences. In that capacity, he was able to resolve construction defect cases involving multiple parties, disputes between antagonistic neighbors, claims against public entities and personal injury cases of every kind. On several occasions, he helped feuding family members reconcile longstanding differences and arrive at a settlement that had previously been thought to be impossible. Civil litigation, including personal injury, professional malpractice, construction defects, habitability, real property, employment and business and contract disputes. Judge Kauffman sat on the Superior Court from 1995 to 2011, handling all aspects of civil litigation for the last five years of his tenure. He served as Supervising Judge of the Southwest District from 2001-2002, implementing policies and procedures for trial court unification, one-trial jury service and enhanced security, as well as overseeing the activities of 30 other judicial officers and a support staff of 250. From 1989-1995, he was a Judge of the Los Angeles Municipal Court, where he was chairperson or member of many court committees and sat in both master calendar and individual calendar assignments. For three years, he served as the Supervising Judge of the Hollywood Branch courthouse where, together with members of the community, he established the Hollywood Beautification Team. From 1985-1989, Judge Kauffman served as a Commissioner of the South Bay Municipal Court in Torrance. He began his legal career as a Deputy District Attorney for Los Angeles County, where he prosecuted everything from traffic tickets to death penalty cases. For several years he was one of only 20 prosecutors assigned to the Career Criminal Division, where the cases involved extremely aggravated criminal conduct and were often complex legally or factually. 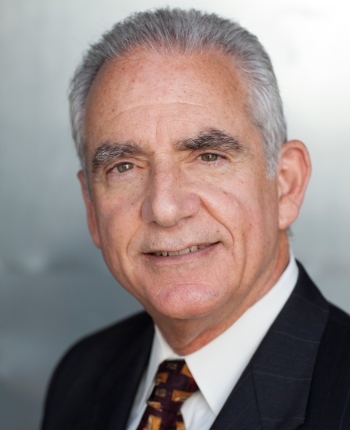 Judge Kauffman is available throughout Southern California.